Dave Rea's cool post: TWSBI Eco a much better bet? 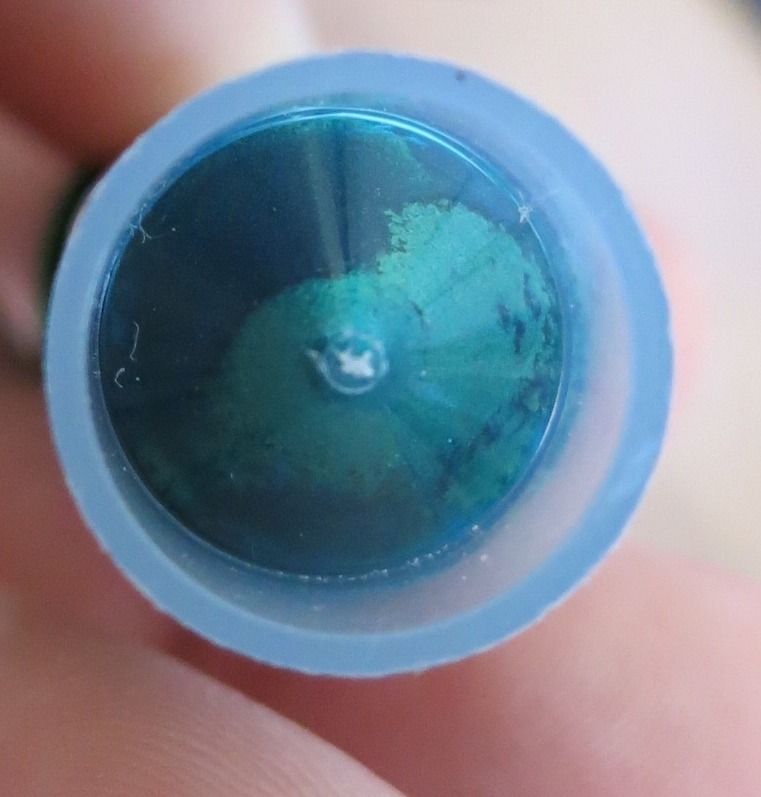 I'm not going to repost any of Dave's images and such, but if you're interested in why TWSBI pens might have cracking issues, and why the ECO seems to have fewer of those, check out his post. 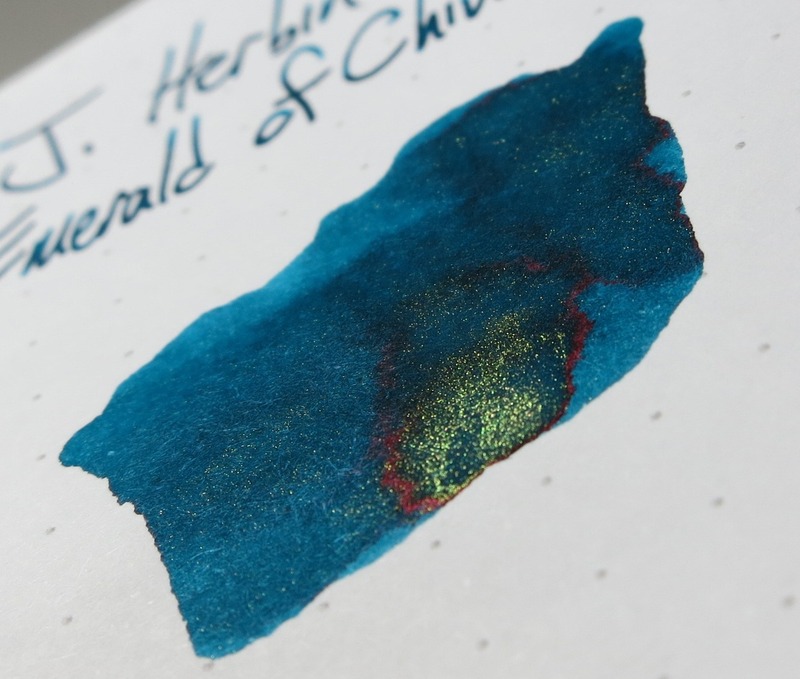 Oh, the fountain pen community loves their sparkly inks from J. Herbin. 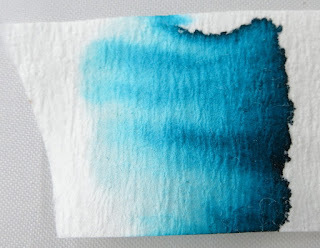 This is the fourth in that series of 1670 inks with their bright gold sheen. I would love to see them switch to some other color, but that doesn't seem to be in the cards. This one is a bright blue with some really great sheen (if you have a wet nib and good paper). 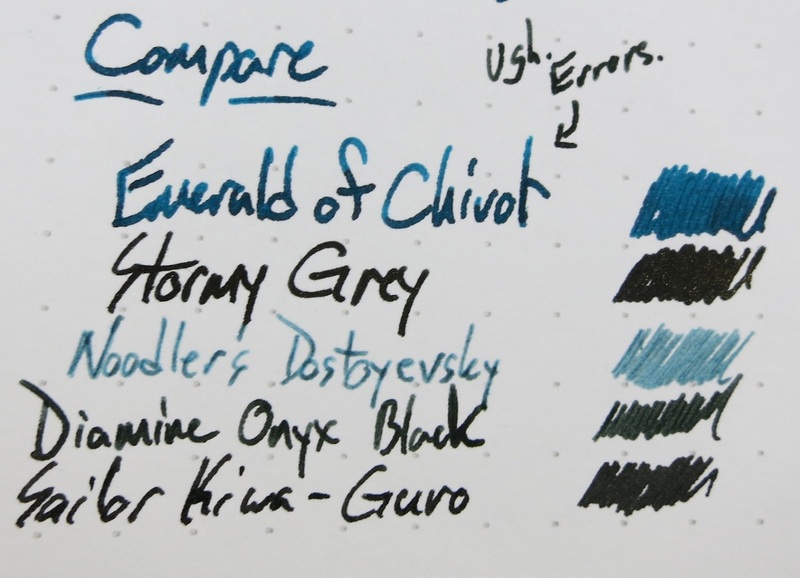 Look around online and you'll see some really fancy writing with this ink. The folded nib work is the best, I think. You'll see that there are plenty of errors in this review. I wrote it late at night when I should have gone to bed. 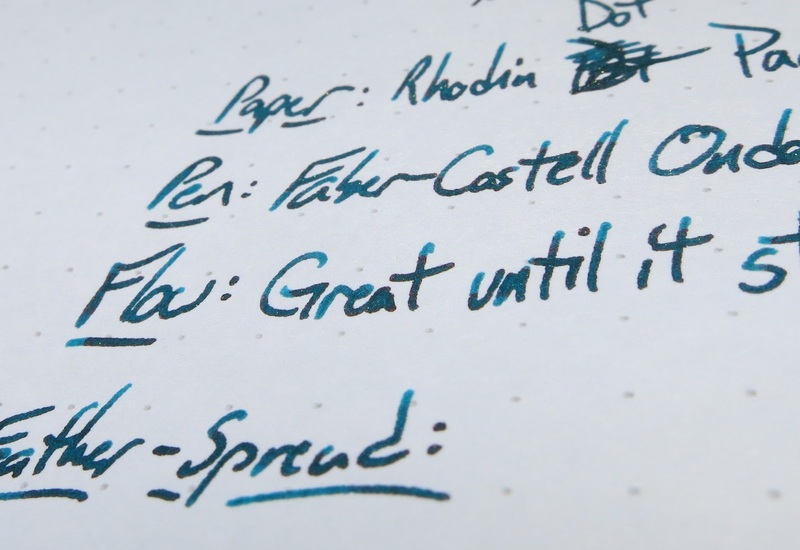 I just didn't want to mess with getting the pen writing again the next day. 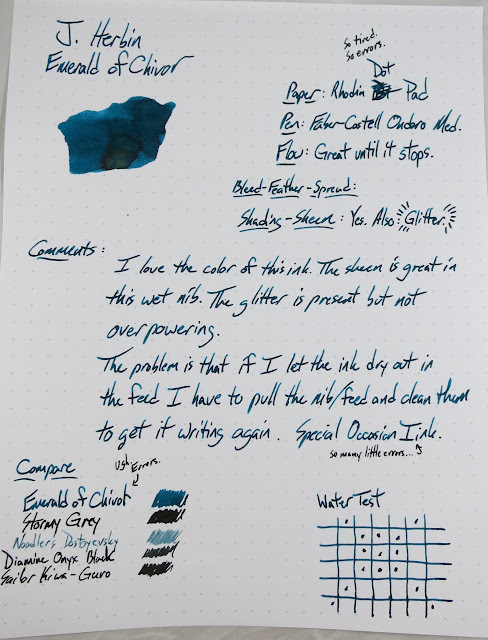 This particular ink is great at first, but it tends to stop up the pen real good if you leave it in the pen overnight. 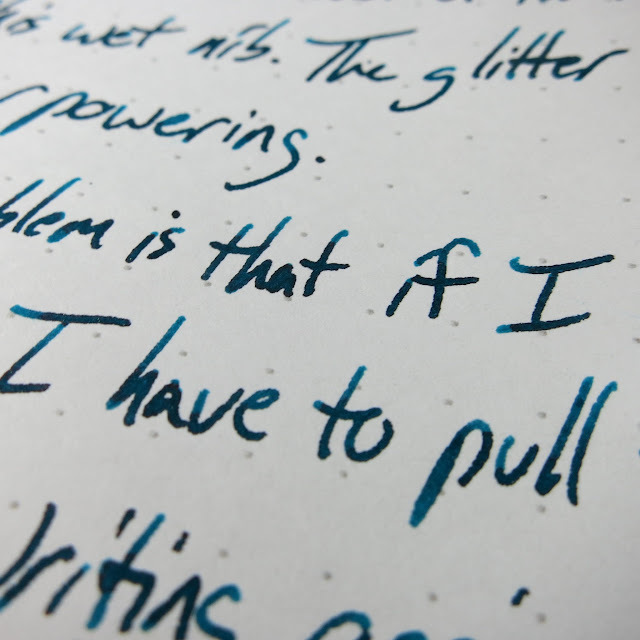 I have to pull the nib and feed and rinse them off every time to get it going again. That's kind of a bummer. This was taken indoors with full-spectrum lights. I was super tired when I wrote this review. Thus the errors. Oh well. This one was outside. 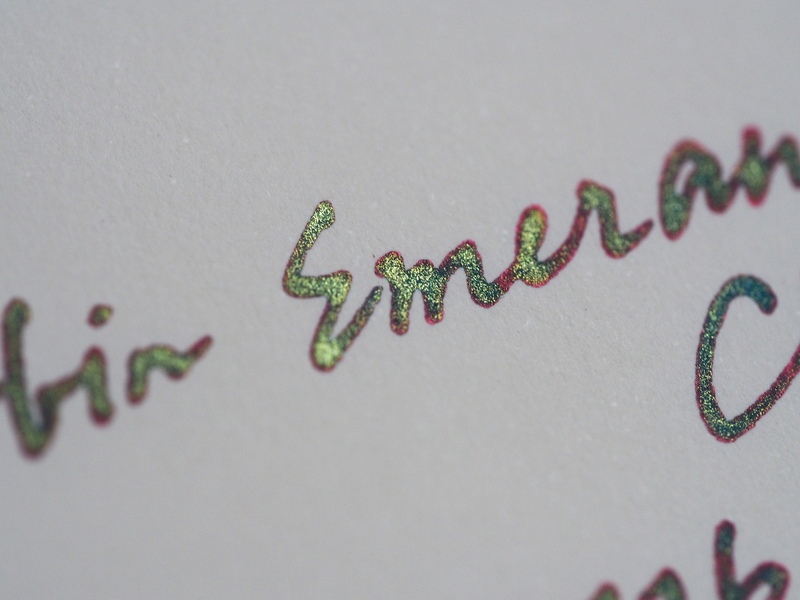 You can really see the red sheen and some of the glitter in this one. 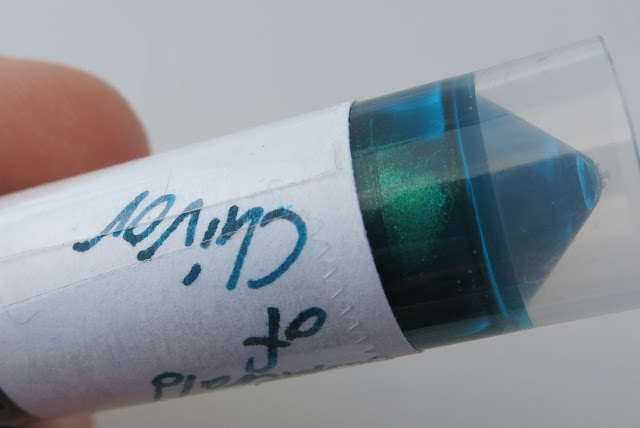 You tend to get a lot of glitter settling to the bottom of the bottle in these inks. Same thing happens in a converter. Just give it a little rotation or a little bit of a shake to re-suspend those flakes. At the end of the day, I don't think I'll be buying this one. The color is nice. The glitter is fine. 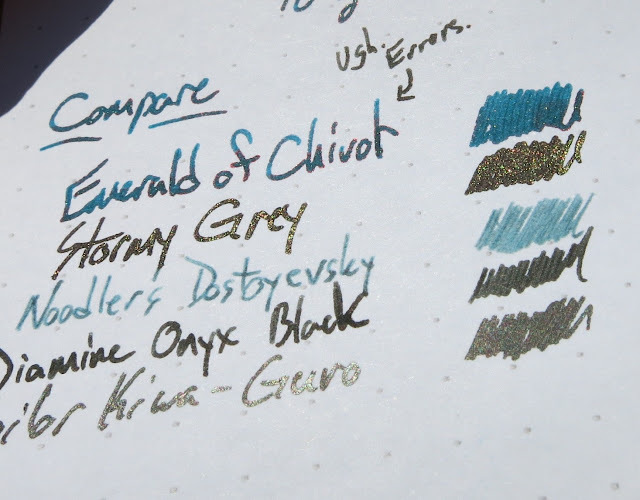 The sheen is really good. 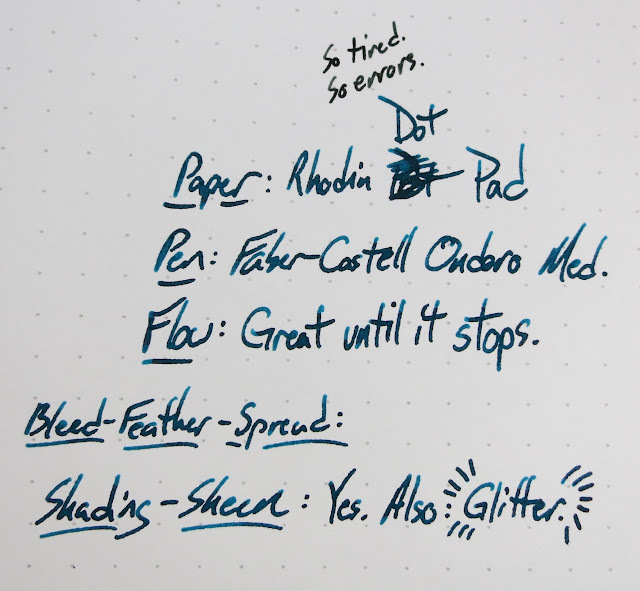 The problem is that it doesn't flow for me, and I don't have the patience to clean out a pen all the time. On the other hand, it seems to work really well in a Nib Creeper, so there's probably hope for this ink. It goes for $26 in a 50ml bottle. 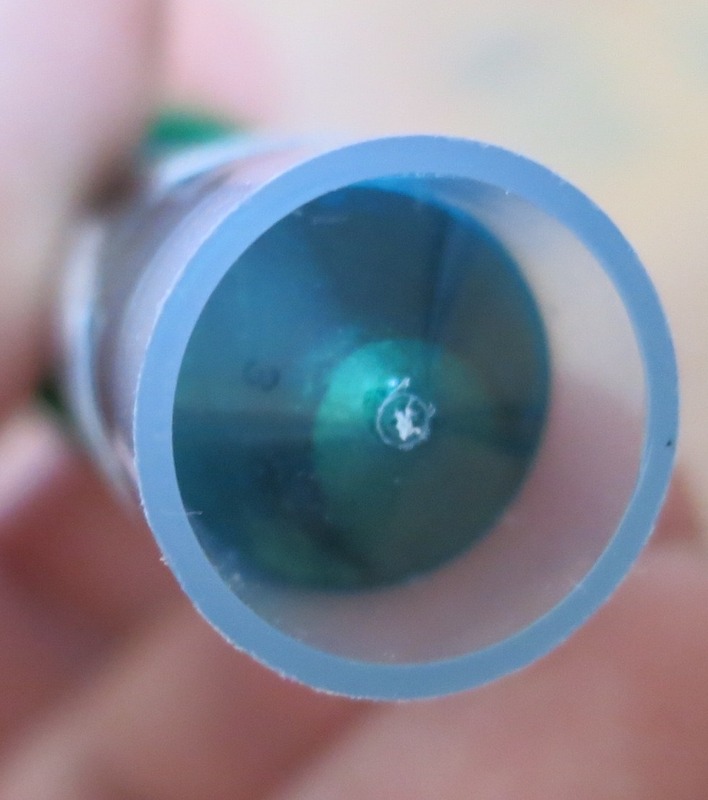 So, I've been talking to Ron at Pen Chalet, and he sent me a pen. Cool, right? That's my first Sailor 1911 (and only my second Sailor). I'm pretty excited about that.